Sz XL – IN STOCK!! This brand new in-stock size XL ZOEY dress is from our budget line. 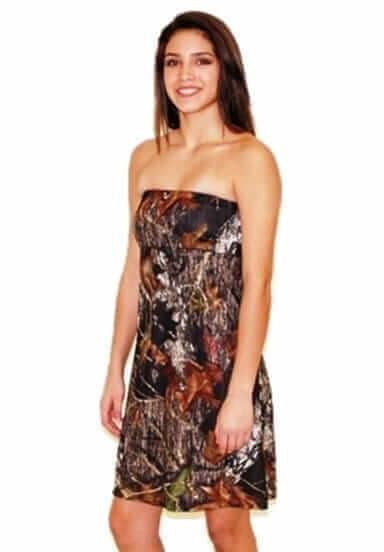 This dress is in the Mossy Oak Break Up camo pattern. There is elastic at the top and under the bust for a secure fit. Made in the USA. The budget line features dresses made from a lighter weight poly spandex material, without any boning or lining. These dresses can be machine washed and dried.